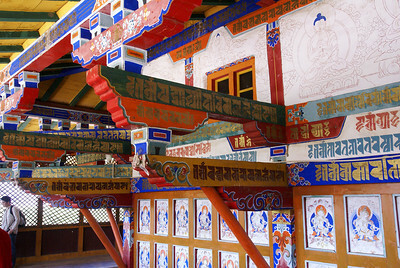 Samye Monastery is the first and oldest Tibetan Buddhist monastery in Tibet, established around 765 AD. 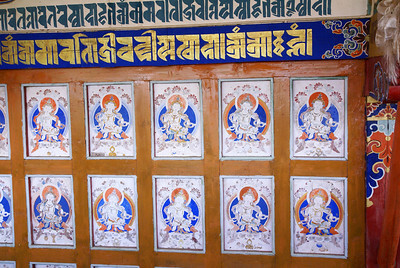 It is designed in the shape of a mandala, the Tibetan view of the universe. 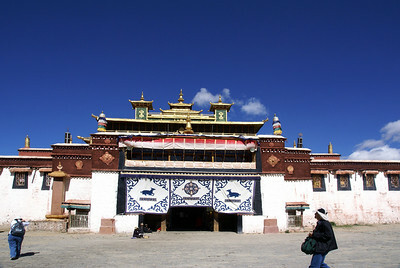 In the middle is the main hall or Utse, with other buildings and four chortens on the grounds, all surrounded by a wall. Main entrance to Utse. Obelisk to left of main gate dates to about 770 AD. 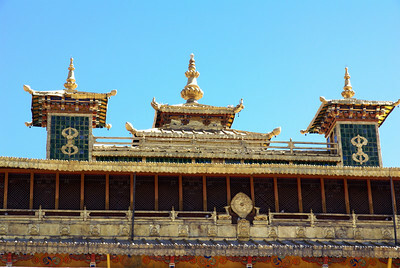 It was in this Utse that a great debate took place about 770 AD, the result being that Indian Buddhism was preferred in Tibet over the Chinese variety. 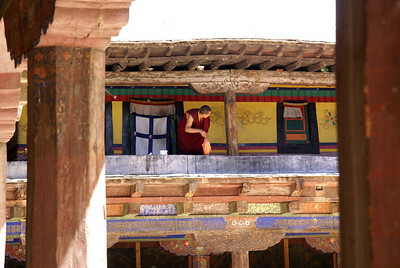 Chinese Buddhism faded and Indian buddhism transformed over the years to Tibetan Buddhism. Obelisk dating to about 770 AD. 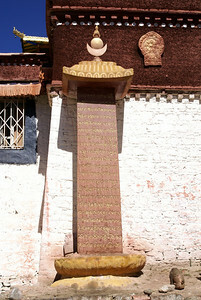 It proclaims Buddhism to be the official religion of the kingdom. Inner court with workers at sewing machines. Closeup of wall decor. 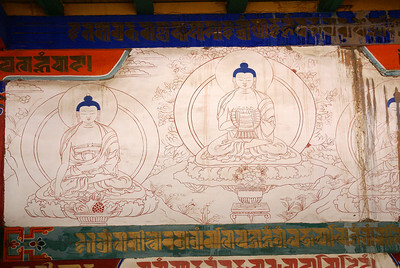 Tibetan language characters can be seen at upper left and at bottom. 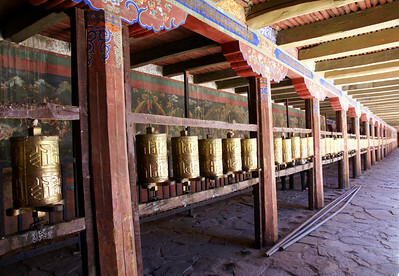 Row of prayer wheels. 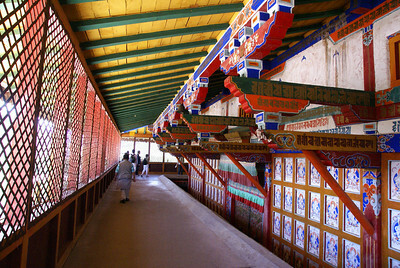 Prayer wheels are always spun clockwise. 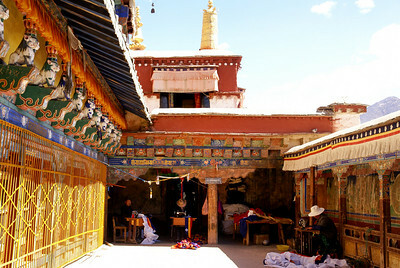 Temples are always walked through clockwise and pilgrimages, such as around a sacred mountain, are also done clockwise. Center banner over Utse main entrance. 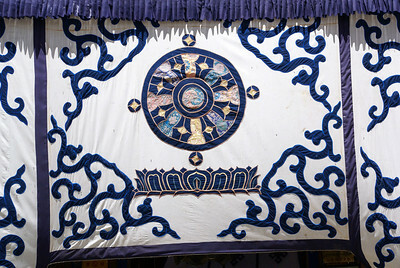 The circle in the center is the Dharma wheel.